It hasn't been a great season for Ford drivers. Call it a maddening hunt for enough speed to keep up with Toyotas and Chevys. Ford's Brad Keselowski, who won last year's NASCAR championship in a Dodge, still hasn't won this season. In fact, it's now over a year since his last Sprint Cup tour victory. Teammate Joey Logano has had a marginally better season, winning Michigan from the pole in August. And he made the playoffs, though that engine failure at Chicago in the chase opener essentially knocked him out of the title hunt. Across the Ford compound, at Jack Roush's, things are a bit better. Carl Edwards has two wins, Phoenix in the spring, Richmond a month ago. And he 'won' the sport's regular season championship, though that might be more due to Jimmie Johnson's still unexplained late summer collapse. 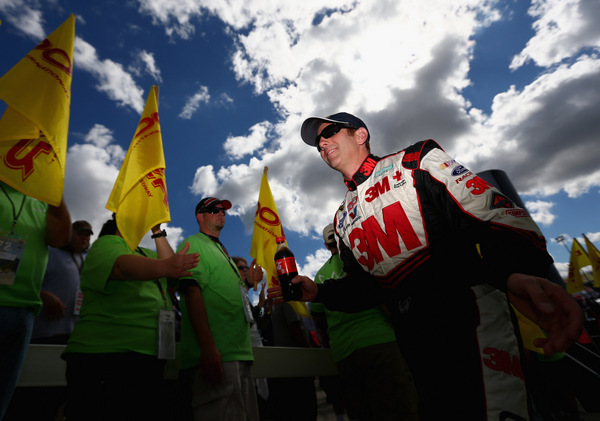 Edwards made the chase but that 35th last weekend at Dover ended his title hopes. Teammate Greg Biffle also made the chase. But he's had only one top-five run since his lone win of the year, in June at Michigan, that a third at New Hampshire two weeks ago. Biffle isn't really out of the title picture, but 41 points down, he needs to start matching -- and then beating -- Johnson, Matt Kenseth and Kyle Busch in order to make up ground. 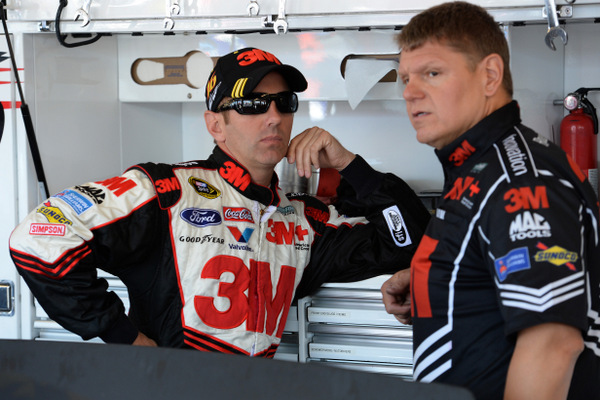 Biffle, a two-time winner here, would like to shake things up. But so far he concedes "we are really struggling for speed." Goodyear's newest tire setups have kept crew chiefs struggling. Biffle was one of the four testing here, so he says "we are kind of scratching our heads." But then Biffle says Goodyear brought back a new right-side from what Biffle tested here. "It's a different right-side tire than we tested; we never tested this particularly right-side." So Biffle is happy that the weather here this weekend could be a factor, with 93-degree days and then cooler 60-degree days, and the threat of rain washing the track. Anything to get his rivals off game. "I am excited because that means the track will be different," Biffle says. "What it has been so far hasn't been nice to us. "I am welcoming a change in the temperature, and maybe the track speed, or the grip, to see if it affects our car different than everybody else. "I have a feeling it will. "We will just hope for some change and see what it does." What all that may mean for his lingering title hopes isn't clear. "It depends if we get this thing turned around this week. "We had a great run last week (at Dover), and slipped at the end -- got the inside for a restart and ended up ninth. We felt we had a top-five car for sure. "We will see how we get by this weekend. This was a place we felt like we could win at. "Charlotte we feel we can win... and Texas. "It is a little discouraging at this point that we are having a little speed issue. But so are other guys; it isn't just us. "It is going to be an interesting weekend, to say the least." 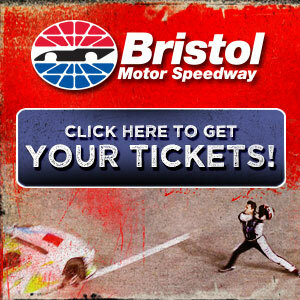 Can Biffle rally to get back in the championship battle? "If both Gibbs cars (Kenseth and Busch) blow up this weekend (Toyotas have had engine trouble at times this season), and Jimmie cuts a tire, there are seven cars that are within sight of the lead," Biffle says. "That is probably not going to happen. "So it is all speculative.... all what could happen. "We could finish third and they could finish fourth and fifth, and we could go into next week only gaining two points on them. "But who is going to get caught up in what at Talladega? Maybe nobody; maybe there is no accident. We all put so much emphasis on that one race, and maybe nothing happens. "Finish in the top-five or win the race, those are the only things you can do to keep in this thing. "If one of those guys wins, you have to be within four or five positions of him to not let him get too far ahead of you... and hopefully next week is your week. "So far this weekend it doesn't look like it is ours. But that can change dramatically over the next two days. "We can only control what we do. What happens for them, and what they do, is their own destiny. "If you are within 43 points going into Homestead (the finale), then you have an opportunity to win the title. If something happens to the leader early in the race and you win. "I think that is the way you have to look at it." But not necessarily the way a driver and team would prefer to look at it. Ford is a joke and has been for quite a while. Submitted by MikeInAZ on Sun 10/06/2013 - 10:44. Ford is a joke and has been for quite a while. When Ford has only won 3 championships and Chevy 14 in the last 20 years, it's obviously an ongoing problem. I was fairly certain when Brad K went from Dodge to a Ford he was going to have a rough season and any hopes of repeating as champion were wiped out. As for Greg he's having a pipe dream too. Looks to me like if you want to win championships you need to race with Chevy.